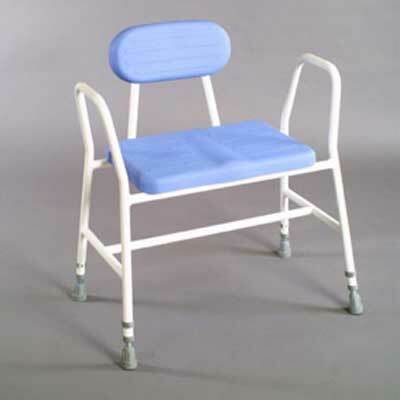 This extra wide perching stool is ideal for the larger user. The upholstery is made using the latest in anti-bacterial PU for added comfort and hygiene. The frame is manufactured from high tensile steel tubing and features a H-section for added strength.